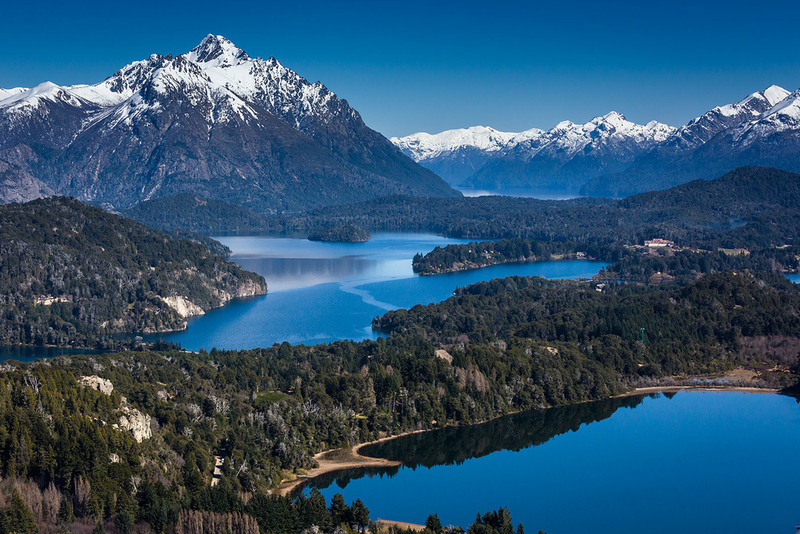 The northernmost part of Patagonia in South America stretches across a series of spectacular lakes and mountains from Puerto Varas in Chile to Bariloche in Argentina. It's an area rich in the natural rugged beauty of the Andes that can be crossed by a series of boats, buses and hotels between the two countries. A short video on this amazing journey can be seen here.